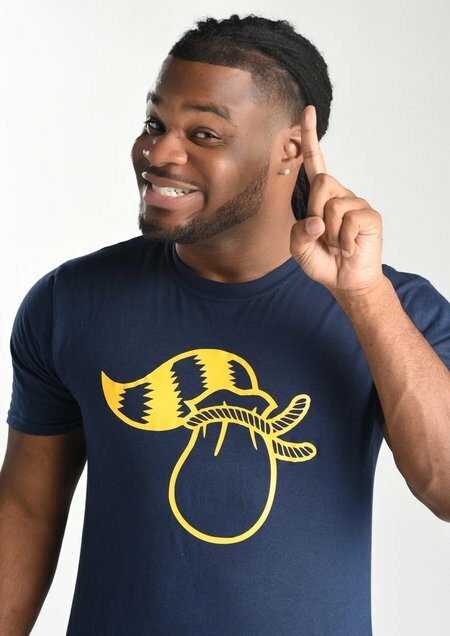 Comedian, Emmanuel Hudson sure knows how to keep his fans glued to their computer screens whenever he uploads a new video on his YouTube account. But he is also making his fans guess something about his sexual orientation and that something is that he is gay. Well, the speculation started swirling due to his low profile personal life. Though the YouTuber has stated he wants a beautiful girlfriend on his Twitter account, so what gives? Is he really gay or not? He is famous for his YouTube channel and being a former Viner as well. Before the website, Vine was shut down, he had amassed staggering 1.2 million followers on the network. Emmanuel is not dating anyone at the moment. His funny videos are what made his famous not just in the United States but all around the globe as well. As you all know being famous is sometimes bad as well. People start to dig up information regarding your personal life and ask you all sorts of questions and that's the same phase Emmanuel is going through. Not only that, but he is also called gay by many tabloids because of his low key dating affair. Now, he is not going out with anyone and is single. In many of tweets, he even mentions what type of girlfriend he wants for himself, which tells us the internet personality is not gay after all. My ex said her & new boyfriend don't argue like we use to! THATS BECAUSE YOU DONT CHEAT LIKE YOU USE TO! I gotta have a really really really pretty girlfriend! because my kids ain't gone make it coming out looking like me! I need super help! One time he even told his followers, he is not gay. Judging by his tweets, he was once dating someone but they later called it quits because she cheated on him. He also states he wants a Latina girlfriend for himself. Well, after reading the above tweets we can say for sure the comedian is not gay. He is looking for the perfect girl who would not cheat on him and won't get on his last nerve. Born on December 13, 1990, in Mississippi. He is one of the six children of his father and mother. He is the second youngest of his family. He moved to Jonesboro, Georgia in 1998 with his family. He is famous for collaborating with his brother Phillip Hudson. His most popular video is Ratchet Girl Anthem. His YouTube channel has more than 1.6 million subscribers.